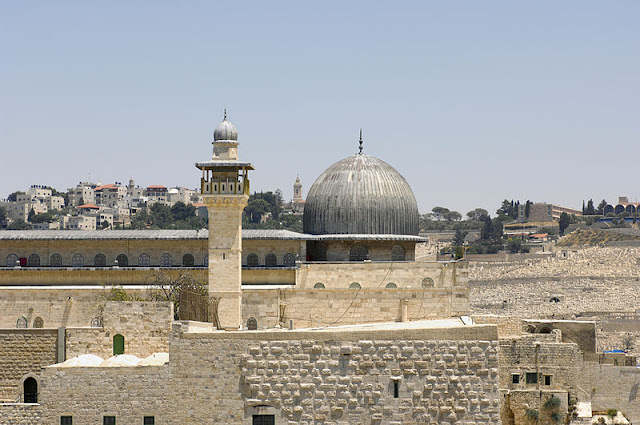 The al-Buraq mosque is a mosque located in the Haram al-Sharif in the Old City of Jerusalem. It is in the passage that once led to Barclay's Gate, which is at the south end of the Western Wall and has been sealed for many centuries. 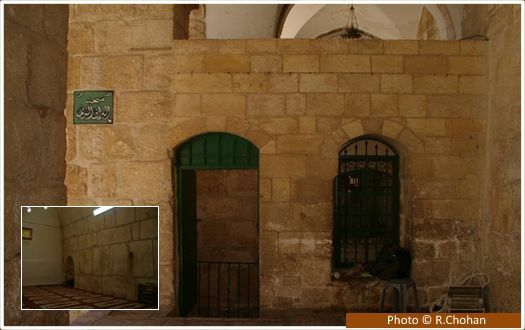 This small structure, on the south-west corner of the Al-Aqsa compound is believed to be the place where Muhammad tied the Buraq, the winged riding animal upon which he rode during the Night of Ascension, and an iron ring attached to the wall is shown to visitors as the exact place.